Project based employment as well as temporary employment has become common in the new economy. Job seekers need to be able to show their background, skills and experiences effectively, and a simple resume does not suffice for many jobs anymore. This program instructions job seekers on how to create a good impression on their interviewer with a well-developed portfolio. This film includes step by step instructions on how to create a good portfolio. The video includes wisdom from a professional career coach as well as case studies. Detailed instructions are given about how to assemble a high quality portfolio that will impress interviewers. The types of work that can strengthen a portfolio include community work, �soft� and �hard� skills, commendations and awards, and evidence of the job seekers work in photograph form or articles. Includes viewable educational resources online. 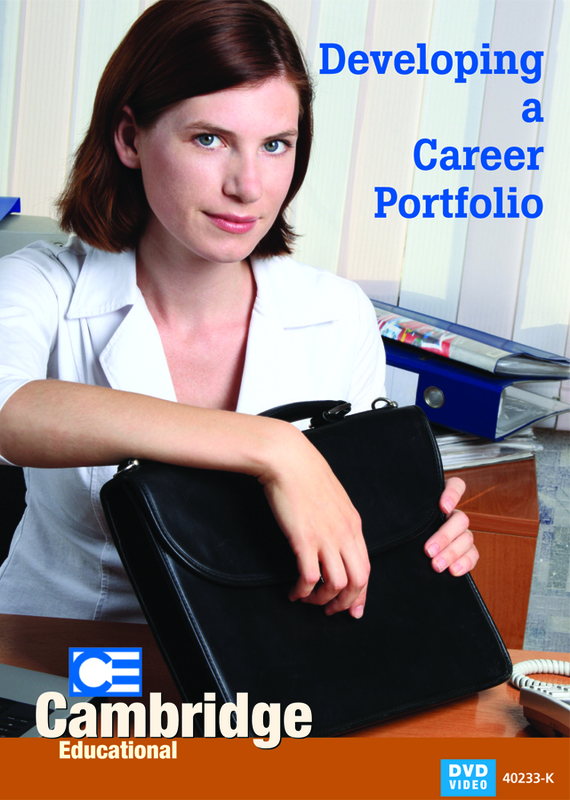 What is a Career Portfolio? (2:26) � A career portfolio is used to give the employer a snapshot of the applicant�s skills and experience through visual evidence. Career Portfolio: Specific Skills (03:56) � Specific skills are discussed such as community service, volunteer and paid work, educational work as well as qualifications which are classified as hard skills. Career Portfolio: Generic Skills (04:42) � Generic or �soft� skills improve a person�s chance of being employed and can include problem solving, communication, and more. How to Create a Career Portfolio (03:33) � A discussion on what to include and exclude from the portfolio. Career Portfolio in Action (04:54) � If the portfolio includes a DVD to show the applicant�s skills, it should be given at the end of the interview.